Coffee culture in Hong Kong is indisputably growing fast, but it’s growing even more rapidly on me. 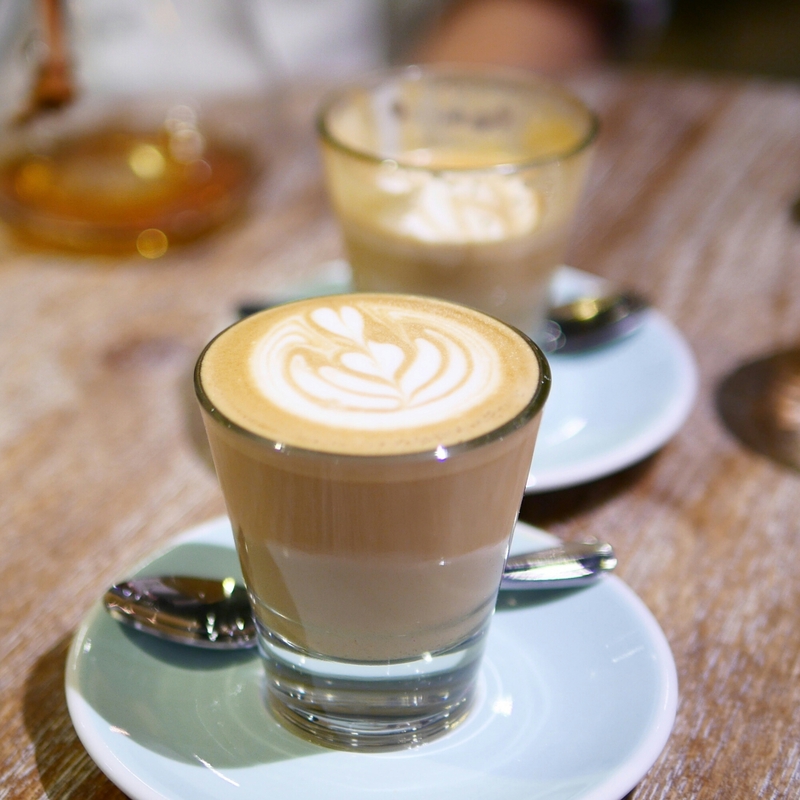 A few months back, I wrote about the 4 best cappuccinos in Hong Kong, but I’ve definitely discovered many more excellent coffee spots since then that’d make it on such list, like Bakery Cafe (Central), Five Coffee Company (Sai Kung) and Espresso Alchemy (Tsim Sha Tsui). Interestingly though, coffee and food has started to develop into two segregated activities for me, as in, I’d go for lunch then move elsewhere for a cup of coffee. Great coffee and great food just don’t get housed under the same roof in this city. So it was genuinely a shocker to discover Espresso Alchemy, possibly just the one exception to that rule, which honestly does a top notch job at the two. I first discovered and fell in love with the piccolo latte when I went to Roast (in Bangkok) about 2 years ago but since then haven’t really seen it on menus much in Hong Kong, and when I do, they’re usually a let down. Turns out there’s quite a bit of skill that goes into making a piccolo latte, and that’s why a lot of places don’t serve it, or don’t serve a good one. 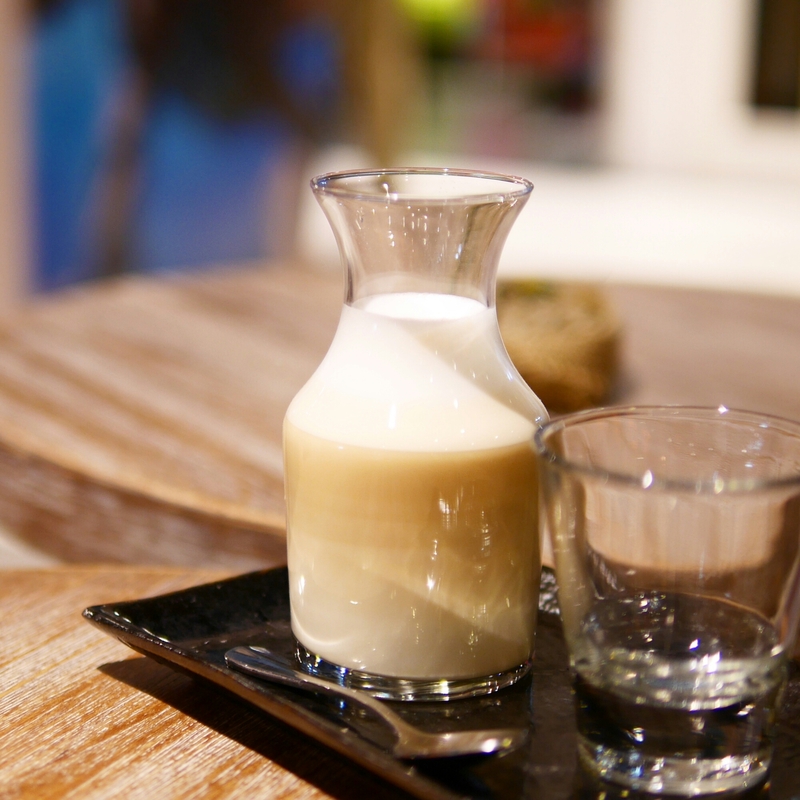 The piccolo latte here is extremely smooth, creamy and easy on the tastebuds. By default (of the coffee blend used), there’s a unique hint of floral aftertaste. Admittedly, this was a little weird at first, but was a taste that grew on me. If you prefer a more usual coffee-like taste, request the house blend for your piccolo latte. This one has a slight cocoa aftertaste, resembling the more typical cup of coffee. I’m definitely a “coffee person” and I’ve always been skeptical about tea lattes. I’ve had a few before and they often just taste excessively artificially sweet, with almost no tea taste to it. Here, they sugar this drink up with honey which I find much more approvable (than syrup) and the drink still retains a strong earl grey tea flavour. Although the piccolo latte was amazing, the earl grey latte was an even bigger surprise. 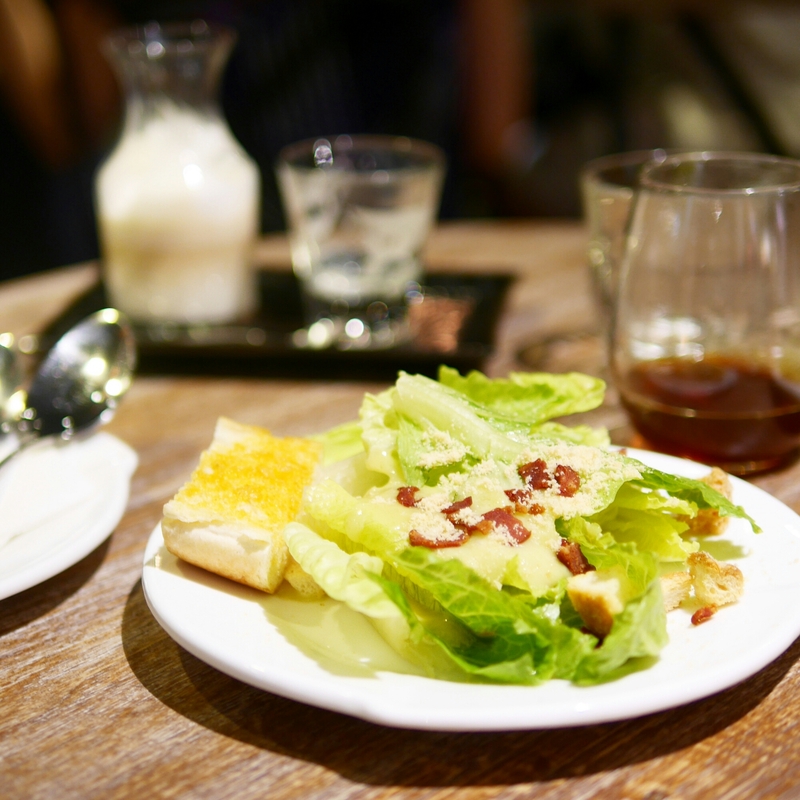 A set comes with either salad or soup (add HK$10) and though the salad seemed to be the boring choice, the taste was not ordinary at all. Apart from the extremely crisp fresh leaves, the salad dressing was unique and super tasty. I thought it was cheesy but turns out it’s made with a bit of anchovies. Ok that may put off some of you but seriously trust me and give it a try. So I recommended this place to my sister shortly after tasting it myself and she said the soup was really good too. So I don’t think you can go wrong with either choice anyway. Excellent coffee is kind of expected for a decent coffee shop, but they actually have a legit kitchen at their Tsim Sha Tsui branch, rather than just the toaster, microwave and pan that most coffee shops are equipped with. Having sampled two of their main dishes, they make food better than most restaurants out there at about half the price! 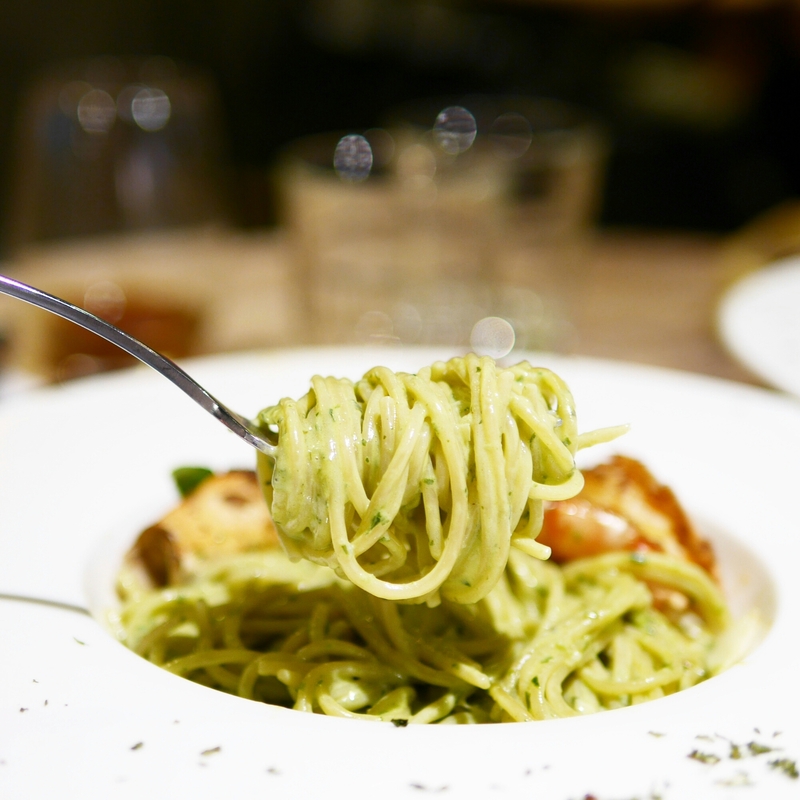 The pesto cream sauce was possibly one of the biggest highlights of our meal here. The sauce was entirely homemade with none of that oily jarred pesto sauce that most restaurants in Hong Kong use. It was perfectly herby and slightly creamy, mixed with very al dente pasta. The tiger prawn was not extraordinary, but the sauce was really the star of the dish anyway. Plus, a meal here cost HK$88 (with salad and coffee and no service charge), so I hardly expected them to dish out fresh caught prawns to top my pasta. Apart from the pesto pasta, they also do a really good lasagne with bechamel sauce. I also heard their Australian steak is bang for buck for only HK$118! We ended our meal with a pretty decent tiramisu. 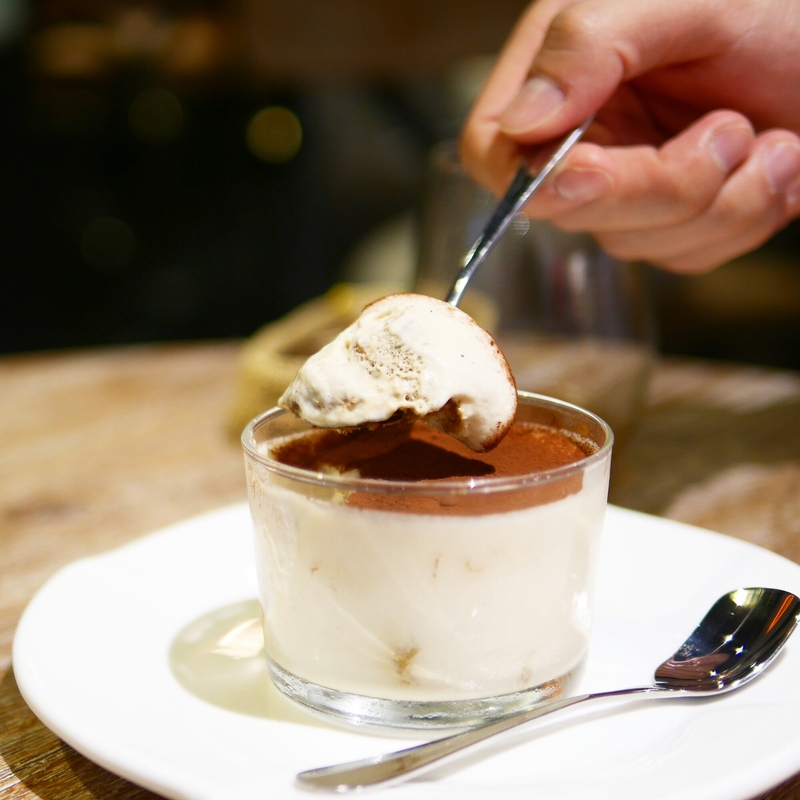 While this was not exactly the best tiramisu, they did a really decent job at a light refreshing dessert that most importantly tasted very fresh. On many levels, this place is a perfect spot for casual catch up sessions. You can do it over just (excellent) coffee and your non-coffee friend can be kept happy with a range of delicious tea lattes. You can order a proper restaurant-quality meal. It’s also located pretty conveniently in WK Square, Tsim Sha Tsui, the entrance of which is next to Chung King Mansion and very close to the MTR. This must be my best value-for-money discovery in a long time. It is nice to hear of a place does good food and coffee. Like you I generally don’t “do” coffee in a restaurant. Even one with good menu. Yeah exactly! It’s definitely great (though rare) to find a place like this. But I heard good food plus good coffee is the norm in places like Melbourne – so I’m excited to go there and try one day.